We help YOU look and feel your best. We are all about YOU. We take face and body sculpting to a new level with safe, effective, and customized techniques. We do what is not available elsewhere. Minimally invasive or non invasive procedures with long term results and no downtime. From face and body sculpting, to fat reduction and skin tightening, to safe hormone replacement and innovative, effective hair restoration. I’ve been a patient of Dr. K’s since he opened and have never had a doctor like him. His attention to detail, artists eye and passion for the newest technology make him the best. My anti-aging/beauty routine is so simple because I use the products and listen to Dr. Kacki. It actually end up being more affordable because I’m not on a wild goose chase for the “latest and greatest” products. Visage has a very minimalist approach so if Beverly Housewives is your ideal look, this is going to be a little more natural. I appreciate Dr. K so much and wouldn’t go anywhere else! I highly recommend Visage MedArt, I have been going to them since not long after they opened. Referrals I have sent their way have been very pleased as well. Dr. Kacki is highly knowledgeable and experienced along with his staff. They take time to understand and help achieve your goals. My favorite thing is the focus to let my own skin shine and not overdo, something I see way too often at other places having clients look fake. I also use their skincare designed by Dr. Kacki, not only do I feel my skin looks and feels great, I am often complimented by others saying how great my skin looks. I cannot say enough about their professionalism, knowledge and the right solutions to make you look and feel your best! with the understanding that these noninvasive procedures are not an exact science, but an ongoing process. PS…I drive over 2 hours to get to Visage in Nashville! Worth every minute! I have been going to Visage for many years. The facials are simply the best. I’ve tried other places, but Visage is so much better than any other place I’ve tried. Dr. Kacki is also so wonderful, always friendly and quite helpful. When I say that Dr. Kacki is oustanding, I literally mean he stands out from all the rest. I agree with others that the facility is relaxed and beautiful, but what I most appreciate is the warmth, professionalism, and artistry found in every experience with Dr. K and his staff…. Much of the art that is showcased at the practice is done by Dr. K himself, and is exquisite. Recieving aesthetic services from an actual doctor who happens to also be extremely gifted artistically is the best of both worlds. Im very picky, extremely detailed, and am after a very natural look, as we all are. 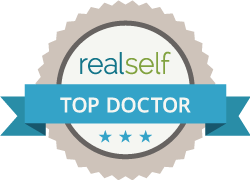 I trust him explicitly, and now, having been to him and witnessed firsthand how talented this doctor truly is, I would never go to anybody else! If you want natural looking, beautiful results, do yourself a favor and go to the best~ go to Dr. K!! VISAGE Skin is a carefully edited collection of powerful skin care products specifically chosen for VISAGE MedArt by Dr. Marek Kacki. Each product contains the most effective clinically proven active ingredients available today. These results-oriented products used under the supervision of Dr. Kacki will produce a lifetime of beautiful, healthy skin. Hi, my name is . I need more information about ServicesSkin CareAppointmentsGeneral . You can email me back here: .